Corn tortilla chips topped with your choice of meat. Served with beans, cheddar cheese, guacamole, sour cream and jalapeños peppers. Also comes vegetarian. Made with only the best available avocados. Served with corn tortilla chips. With cheese and pico de gallo. Served with guacamole and sour cream. Char-broiled steak in garlic sauce. 12" flour tortilla with whole black beans, Mexican rice, cheese, sour cream, guacamole, pico de gallo and salsa. The food was delicious, and delivery was super-fast. My food arrived a full 30 minutes before the estimated arrival time! (Granted, I'm under half a mile away, which may have had something to do with that.) The prices are a little higher than your average hole-in-the-wall Mexican place, but it's well worth the extra couple of dollars per dish. OMG! this is the best Mexican place to order from. I mean don't think twice about it just place your order you wont be sorry. The food is fresh. So fresh you think this was made in your own kitchen. The flavors are amazing. The Mexican rice is just so on point. Not to mention the steak tacos! TAcocina is the real deal. I'm always a little skeptical of Grubhub critiques, especially when it comes to the presentation...it's fast delivery, not food art. Anyway, since moving to the Heights two years ago I have not found old school authentic Mexican. This place is IT. Not the prettiest food but damn sure the best. Really tasty guac, and excellent, fast customer service. I was initially given the wrong order (a carne asada burrito instead of carne asada) but as soon as I called to inform the restaurant of the mishap they sent the right stuff right over, with absolutely no hassle. Will order again! Ordered from them three times. All three times the were fast, and the food was great. I tried two different kind of soups and two different kinds of dishes, and everything tastes great. They also include some rice, black beans, sour cream, and all of that is excellent. The amount is pretty good for most people, though it is more quality than quantity. Also, they are using many bags and containers to wrap everything neatly, so this is not the most environmentally friendly option... but so are many other places, and this one has tasty food :-) Will definitely be ordering again. The Tacos al Carbon were delicious, O-M-G a must have item on the menu!! I just love this place, the service here is extraordinary!! The food is delicious and always hot upon arrival not to mention also beautifully and neatly packed! The rice is a must have, love it!!!! Would recommend this restaurant to anyone!! Great Mexican cuisine and I have been to the restaurant and it is great because it is family friendly and also has a area in the back that is more intimate for couples looking for a nice romantic setting. Food was actually early and delicious. 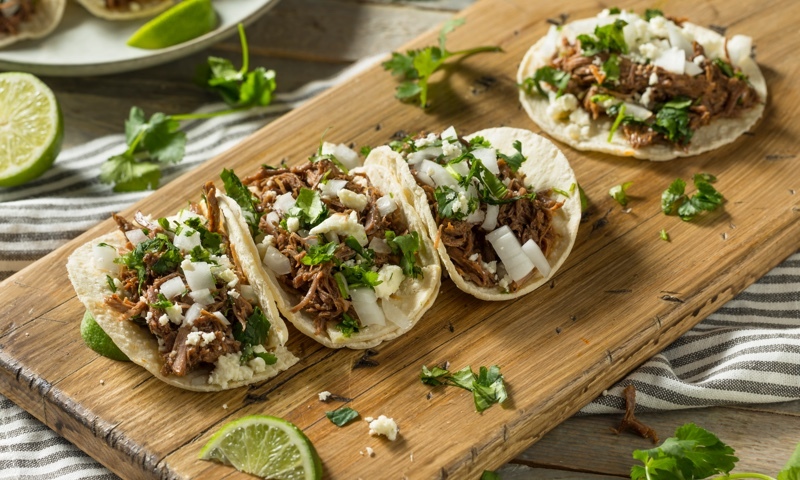 With the variety of Mexican restaurants to order from, it can be difficult to make a choice. I have to compliment this establishment because when there were negative reviews, the manager took the time to address the concern and offer a full refund. It shows me that the customer is valuable and that they are serious about quality and customer satisfaction. Thank you for a well made lunch and attention to detail! We love ordering our Mexican food from RB, I know their are other Mexican restaurants in the area but it simply does not compare. Our favorite is the chimichanga and nachos. If you go to the actual restaurant you can also enjoy their delicious margarita. Delivery is always on time or earlier than expected. One of the better restaurants in wahi/inwood. Refried Beans is great every time. Consistently good food, delivery always comes on time, and my order is always correct. I'm not super close to the restaurant, so if it happens to be the dead of winter, the food may occasionally not be piping hot, but that's a small price I'm willing to pay for not cooking dinner. At Tacocina located in Washington Heights, New York the quality of the service is only surpassed by the excellence of the food. They serve the most exquisite Mexican cuisine and they think it's time that you experience it for yourself. As you enter Ta Cocina let yourself be whisked away by sights, sounds, and aromas‚ but that is just the beginning. Specializing in authentic Mexican dishes and drinks, they guarantee one visit will keep you coming again and again. Stop by or order online and see what makes them unique! Whether you're craving a quick bite or looking to treat yourself to a delicious meal, you can now order your Refried Beans Mexican Grill favorites for takeout or delivery.